Melbourne-based property investment specialist and fund manager OpenCorp has acquired sites todevelop an estimated $360 million in Queensland projects. Land has been purchased for two new projects located in Albion and West End. mix of one, two and three bedroom apartments worth an estimated total of $89 million. five kilometres from the CBD and bordering on the blue-chip areas of Ascot, Hamilton and Clayfield. Brisbane’s development hub of West End. apartments (one bath, one car) starting from $499,000. $375,000 or $552,000 for a two-bedroom. Queensland market for the first time. These investors have been attracted by Brisbane’s low prices comparable to Melbourne and Sydney, as well as the high rental returns. 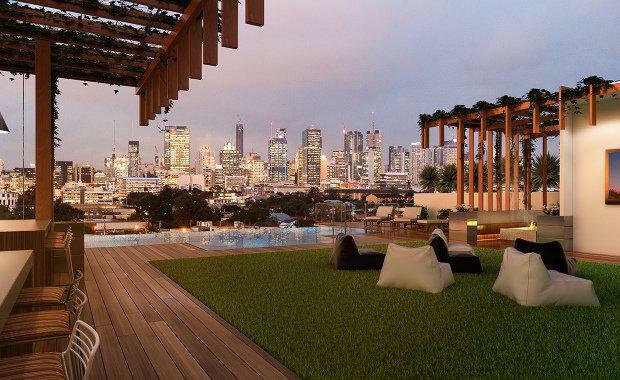 The development embraces the Brisbane environment with a roof terrace complete with an infinity edge pool and cinema that offer views across the CBD. Construction of Citro is scheduled for completion in early 2017.
company has expanded its offering from property investment to developing. land into subdivided apartments to be sold for investor profit. compounded return of 20 per cent. the Brisbane State High School catchment. Evolve and Hemingway in Chermside. Hemingway, worth an estimated $70m, will set a new benchmark for design living in Chermside and will hit the market in February 2016.